Raise more for your cause with free resources, templates and guides designed to maximize results at charity auctions and fundraisers. Few fundraisers are more lucrative than charity auctions—or more complex to plan. Wouldn't it be great having an expert by your side to advise on best practices? These handy, pocket-sized guides feature insider tips for 3 major components of successful charity auctions: Live Auction, Silent Auction and Sponsorship. Free professional bid sheet templates designed to get more bids at silent auction fundraisers. Improve your silent auction with silent auction item display templates that encourage bidders to stop, look and buy. Free professionally designed, 100% customizable Microsoft Word catalog template that showcases your biggest and best auction items. 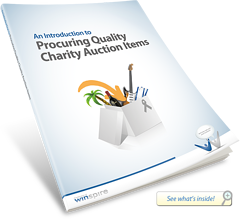 One of the most effective ways to ignite bidding on your best auction items, plus thank top sponsors and donors, is by creating a charity auction catalog. Tips to make auction item procurement more efficient, effective and easier for your entire team. Get started with procurement: Understand your audience, create a shopping experience, build a procurement team. Brainstorm auction item ideas: Create a wish list, think outside the box, host a "Wish List Party". Tips for procuring items: Develop a procurement packet, teach an effective "Ask", incentivize your procurement team. Promote the highlights of every live auction item on the back of this easy-to-customize, multipurpose bid card template. Give your event a polished appearance and save hours of precious time. The Live Auction Bid Card Template bundle includes step-by-step instructions, examples and templates easily customized on Microsoft Word. Showcase the highlights of every live auction item with sleek, 100% customizable slideshow templates. Sponsorships allow more of the revenue raised at your event to go directly to your cause. 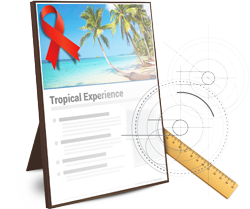 Check out professional templates for sponsorship request letters, forms and more. Jumpstart your procurement team's next brainstorming session with hundreds of ideas for unique items to use in live or silent auctions. The success of a charity auction relies on your ability to procure items that cost little to nothing upfront and ignite fierce bidding. To get the ball rolling, get this list of over 400 ideas for unique, surprising, high quality auction items. See what auction items other Nonprofits are selling the most at their events. Download the latest list of our most popular no-risk travel Experiences. 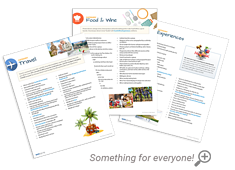 Winspire Experiences are auction items designed to complement your fundraising strategy. Experiences included in this "Top 10" list are a sample of the most popular packages right now based on donor activity. IMPORTANT NOTE: Every event is unique! 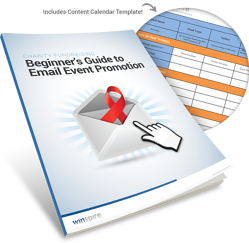 Winspire's Fundraising Specialists are here to help you select Experiences that best suit your audience and fundraising strategies. 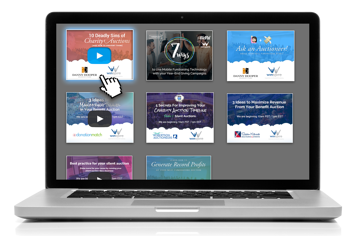 Together with fundraising pros across North America, Winspire webinars dive deep into topics ranging from donor development to event production to travel and more. View any webinar from our library on demand, all free! Top-rated education: 98% of viewers rate content and experts as "Great" or "Excellent"
Make giving fun! 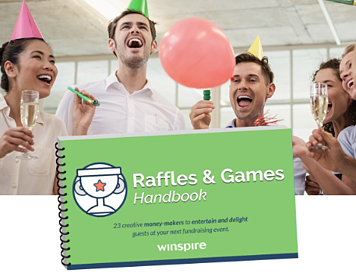 Download the new Raffles & Games Handbook featuring 23 ideas for fresh revenue enhancers to incorporate in your next charity auction. Ideas include Wine Tree, 50/50 Raffle, Golden Ticket, Purse Snatcher, Wildcard Auction, Mason Jar Reveal, Champagne & Diamonds Raffle, and many more. Is traditional or email right for this event? Businesses are more likely to donate auction items when presented with professional documents, clear instructions and a persuasive story. 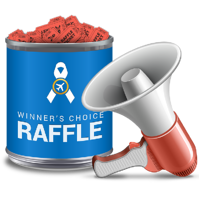 Hosting a raffle with Winspire Experiences is easy to set up, requires little to no upfront cost and can raise tens of thousands of dollars for your cause! In a "Winner's Choice" raffle the organizing committee pre-selects a set of packages from the Winspire catalog, giving the winner a choice of their favorite Experience. This raffle kit includes templates for raffle tickets, promotional flyers and email campaigns to help you maximize tickets sales and raise more money for your cause. Your destination for insight into the world of charitable fundraising, benefit auctions and no-risk auction items. Free Event Fundraising Tips Delivered Weekly! Join thousands of your peers! 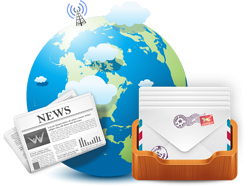 Let Winspire News become your central hub for insightful tips and information on everything from organizing flawless fundraising events to building meaningful relationships with your donors. 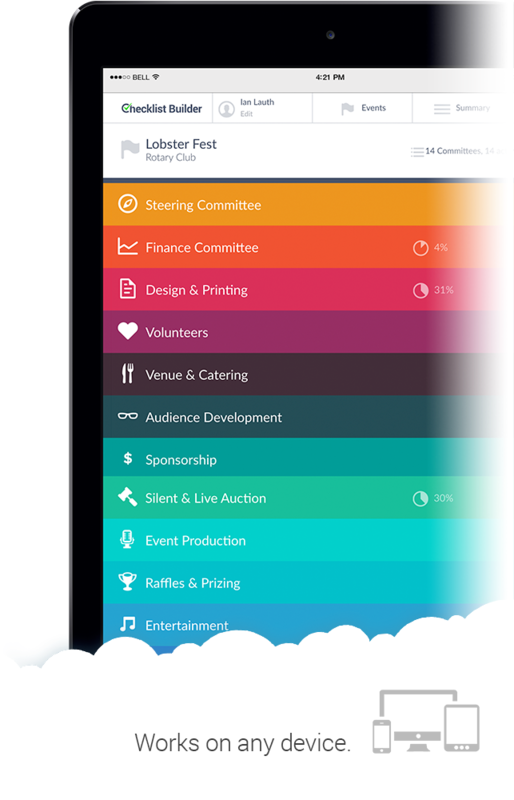 Checklist Builder is a simple but powerful tool for anyone planning an auction fundraising event. It contains shareable to-do lists that make task delegation simple, plus a wealth of educational resources and time-saving templates. Sign up for FREE to give it a try!